The vineyards of Chateau Gazin cover an area of 26 ha in a single tract located on the upper terrace of the terroir of Pomerol. Chateau Gazin originated as an 18th century hamlet built by the Knights of Saint-Jean for pilgrims on traveling to Santiago de Compostela. The wines of the estate are characteristically feminine and charming, due to the dominance of Merlot. 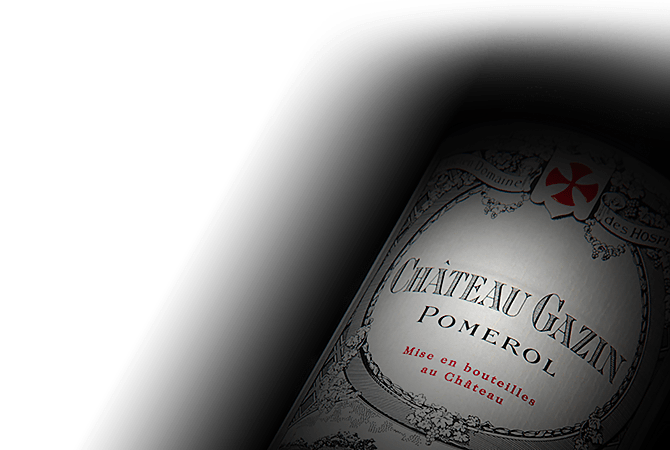 Their lavish generosity offers a wide range red and black fruit aromas that harmonise with its intense purple or garnet colour, delivering dozens of nuanced aromas and a spicy nose.